The start-up meeting discussed the details of the implementation arrangement of Reverse Linkage Project, disbursement procedures of the donor institutions as well as the timetable of the project activities. 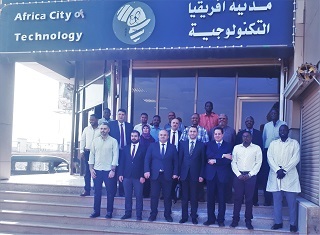 The main objective of the Reverse Linkage Project between Sudan and Turkey is to promote technology localization in Sudan and, in particular, to enhance the capacities of ACT in the area of technology incubation. ACT was established in Khartoum in 2008 to encourage development and investment in various fields of technology. Following the completion of the project after 18 months, ACT will be able to provide effective support to research and start-up companies, contributing this way to the human and economic development of Sudan and as a hub, to the other African countries.